Do you need an escape from the busy city life and spend some time alone with nature in its purest form? 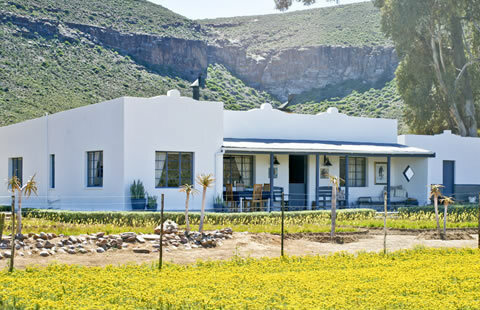 Then the real Hantam Karoo hospitality experience, on the farm Gannabos, is just for you. It is an ideal getaway for nature lovers, hikers, star gazers, photographers and those longing for an amazing Hantam Karoo experience. Come and listen to the sounds of birds and wildlife and enjoy the breathtaking views of a mountain range covered with majestic quiver trees. This beautiful farm is the home of the largest quiver tree forest in the Southern hemisphere. Gannabos is part of the famous Rondekop/Naresie wildflower route, which is world renown during the wildflower season. Situated 35km outside Nieuwoudtville, with it’s stunning waterfall, glacial pavement, bulb nursery and flower reserve, 50km from Loeriesfontein well known for it’s Windmill Museum and 90km from Calvinia with it’s Museum, historic Hantam House and the famous giant post box. 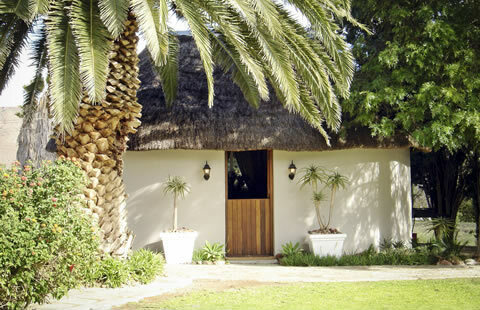 Gannabos is also the perfect stay over, for anyone travelling to other destinations such as Augrabies Falls and the Kalahari. Visiting Gannabos, you will find what you have always been looking for, that special place in the heart of the Hantam Karoo where peace and tranquility reigns supreme. PLEASE NOTE Due to circumstances, limits will be set on photographers and/or visitors to enter the forest at night. Please remember that as the quiver tree forest is situated on the farm itself, it still remains private property. A permit from the owner will be required should you be keen to experience the forest at night. "Five generations had the privilege of calling Gannabos home"